Just a quick post here to highlight some exciting news: we’ve got a paper on the cover of the current issue of Leonardo – and it looks lovely! Leonardo, published by MIT press, is the leading international peer-reviewed journal on the use of contemporary science and technology in the arts and music, and also for discussing applications and influences of the arts and humanities on science and technology. I’m excited about this paper. danceroom Spectroscopy (dS) and Hidden Fields have been going strong since 2012, and have now been experienced by over 100,000 people across Europe, Asia, and the USA. We’ve had several exciting opportunities and invitations for installations and performances at a range of interesting & prestigious venues around the world, including the London 2012 Olympics, the ZKM | Centre for Art and Media Technology in Karlsruhe, the Barbican in London, Austria’s Ars Electronica, the Salzburg festival, New York’s World Science festival, Stanford University’s art institute, and even the Bhutan international arts festival in Thimphu. To date, the papers which have come out from this work have focused primarily on the technological aspects – e.g., on the GPU-accelerated computing algorithms, or the underlying molecular physics. But this Leonardo paper provided a format where we were free to articulate many of the artistic observations that we’ve made during the dS & Hidden fields development process. This opportunity for artistic reflection was something I really enjoyed; the last time I wrote a paper for a more arts & humanities audience was back in 2010 (too long ago!) – and I found the process of writing for Leonardo a really refreshing change of pace! The arts & creative technology side of our research has actually had a brilliant stretch recently: March also saw publication of a paper entitled “Evolving Atomic Aesthetics and Dynamics“. It was presented at the Evostar 2016 conference on bio-inspired computing, where it received a nomination for “best paper”. 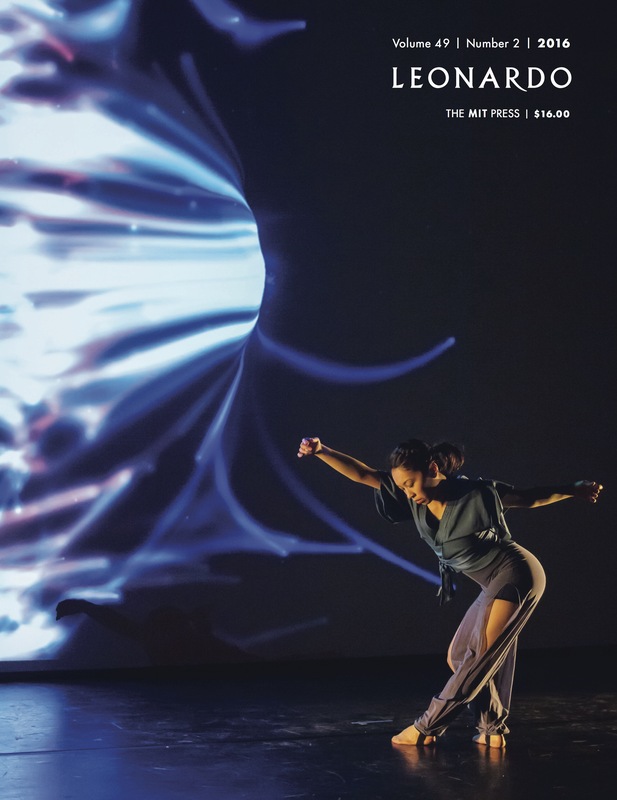 T. Mitchell, J. Hyde, P. Tew, and D. R. Glowacki, “danceroom Spectroscopy: At the Frontiers of Physics, Performance, Interactive Art and Technology”, Leonardo, 49(2), 138 (2016).